The institute came into being because of a unique collaboration of 3 countries: Bhutan, Switzerland and The Netherlands. 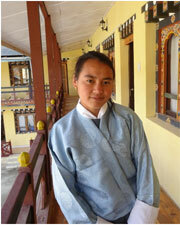 It is the first project of its kind in Bhutan. Initiated by the Swiss and Dutch Bhutan Learning Exchange Foundation and conceptualized by a former lecturer of the Ecole hôtelière de Lausanne this pioneer model trains every year 40 students in kitchen, restaurant service and housekeeping. BIHT is the second vocational training hospitality institute in the country. There is much scope for the students who receive 5 star international hospitality training after they finish the training.